The Atari 2600 is where my love of gaming began thanks to my Dad. But this post isn't about that, it's about these two bundles coming to retail this March. Both Volumes are already available digitally on the store for £15.99/$19.99 each if you can't wait until the retail release on March 31st, and with both sets offering 50 games a piece, there is bound to be a few games on there that you look upon fondly and would love to play again. 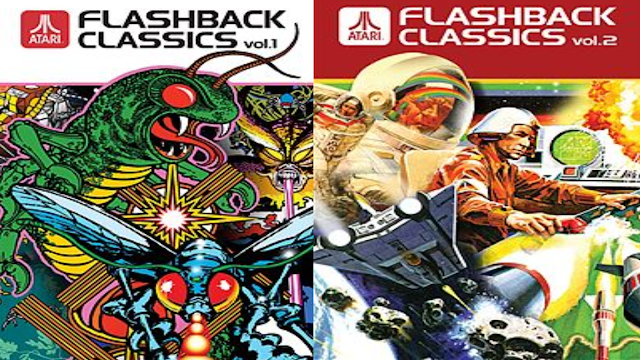 All 50 games for each volume are listed below, with games such as Warlords (Although this game was all about the wheel controller back in the day for me), Black Jack, Centipede, and Yars Revenge being ones that I would love to play again on my current console. If you want the digital links to buy these volumes now as you can't wait, then be taken to the store by clicking here for Vol 1 and here for Vol 2. If retail is for you, then check online stores now to pre-order.